Ameren's ActOnEnergy Program has enabled Illinois business customers to save over $132 million and counting. Learn how to maximize savings through energy-efficient lighting, heating, cooling and more. Every year for the last 4, HTE's TECHTEAM has designed and managed Ameren ActOnEnergy industrial compressor system projects that have resulted in over 9,000,000 kW/hr each year. At 7 cents kW/hr, that means over $625,000 saved on power bills at area manufacturers, on top of which our projects have earned Ameren ActOnEnergy Incentives averaging more than $485,000 each of those years! That means over $1.1 Million added to the earnings of this group of companies each year, 56% of which repeats again each year in the form of lower utility bills. At this year's symposium, spend the day taking part in breakout sessions on a variety of topics, viewing energy-saving exhibits, and attending our keynote speaker event featuring Joe Abernathy, the VP of Stadium Operations for the St. Louis Cardinals. 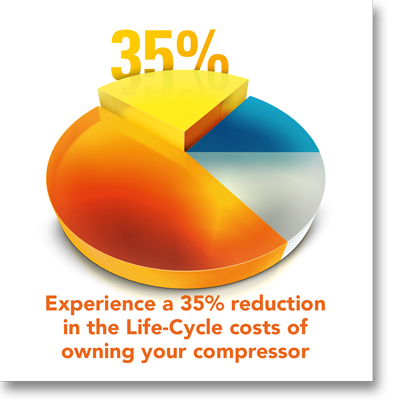 Attendees will receive a 15% bonus coupon - potentially worth thousands in incentives on your next compressor project! Register early for a chance to win one of several great door prizes. Click here to register and to get more information on sessions offered.